On the 12th-14th June, the Directors and Senior Management of Dine Contract Catering completed the fantastic challenge of cycling Coast to Coast to fundraise for Zoe’s Place, a group of babies’ hospices across the UK. The journey began in Whitehaven,Cumbria and day one saw the team dip their back wheels in the water and then set off to take a stunning 63-mile route across the Lake District. There were some very challenging hills to conquer along the way including the Winlatta Pass, said to be the most difficult climph! The route then took them through Windermere and after a well-earned tea and cake break, the team made a final push in to Kendal to complete the first day. Day two began with 4 miles of hills and then another 55 miles across the beautiful Yorkshire Dales to finish in the village of Masham. The final day was by far the longest distance of 70 miles, so the team put their heads down and thought of the finish line. The final challenge was a long brutal hill leading into Scarborough but once this had been conquered, it was time to sail down the other side into Scarborough town. 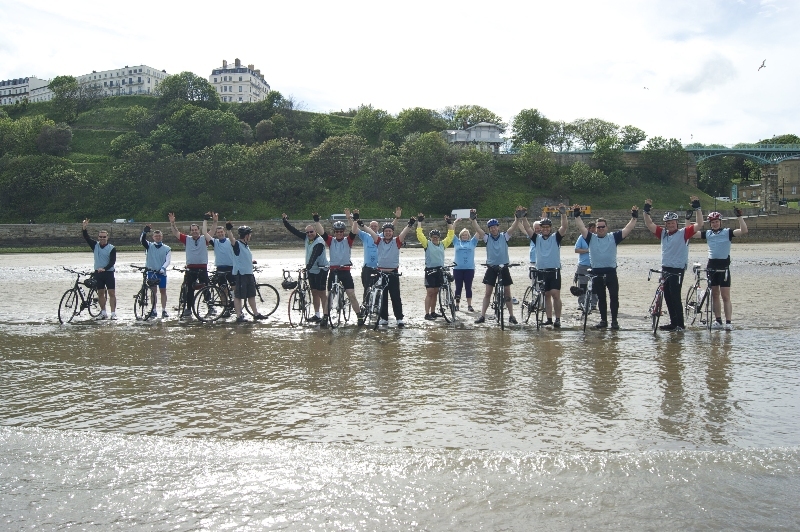 After a regroup in Scarborough, they cycled the final epic mile all together down to the beach to dip their front wheels in the sea and complete the challenge, which was an emotional moment for everybody, as not only had they managed the tough ride but they also raised a staggering £6,200 for Zoe’s Place.